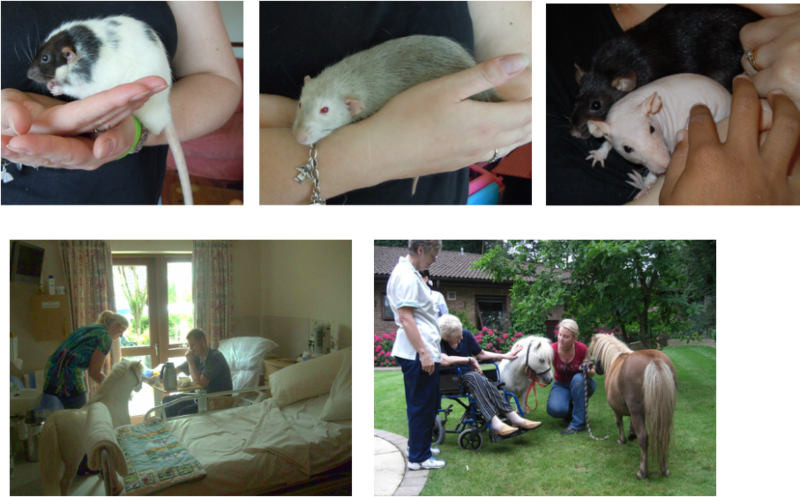 Therapy Animals - Alamanda Therapy Animals. Having suffered myself for nearly 12 years with Myalgic Encephalopathy I have realised that without my animals I might be still sitting in a room looking out the window. It has been proved that animals have a healing affect on people, simply stroking the furr of an animal can cause your blood pressure to go down so its not suprising that more and more health practices and organisations are actively seeking out animals to help the people they work with, from the sick, terminally ill, disabled or troubled person, animals DO make a difference. We are also accutely aware of the healing affects animals, especially horses, can have on Autistic children and we welcome visits from ASD and SPD children. We can also visit pre-schools and schools. We have been doing these visits for 8 years now and LOVE what we do. you and the team. " We have 2 miniature horses, Chywoon Rusty's Applause who is a registered American Miniature horse and we used to have Cherish a British mini mare, who has now been replaced with Chywoon Peter Pan aka Prince another American micro mini horse. 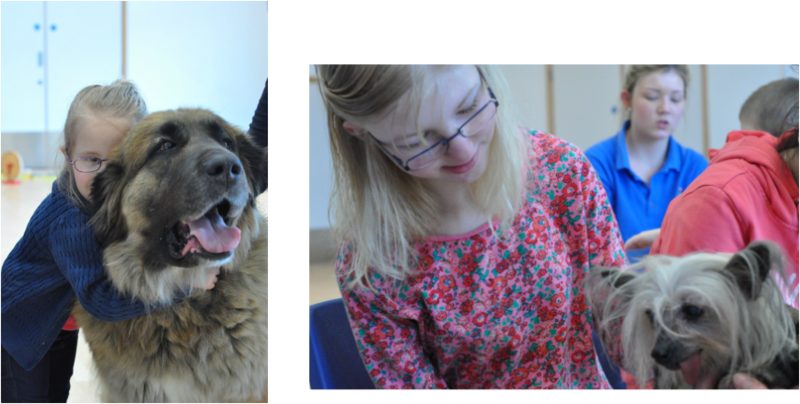 I also take my Leonerberger dogs in to meet patients, due to their large size they can reach up to the patients at thier bedside's and share thier wonderful calm loving natures. I also have larger horses for an encounter if needed. If you would like a visit please contact us to arrange. We are totally funded by donations and do not charge for our visits. ﻿There is a total joy watching a non verbal child speaking because of these animals - it is amazing ! Don't forget to check out Goliath our Therapy cat and his kittens on his page - a SIMPLY STUNNING CAT ! We carry Public Liability insurance for our visits, please contact us for more details. 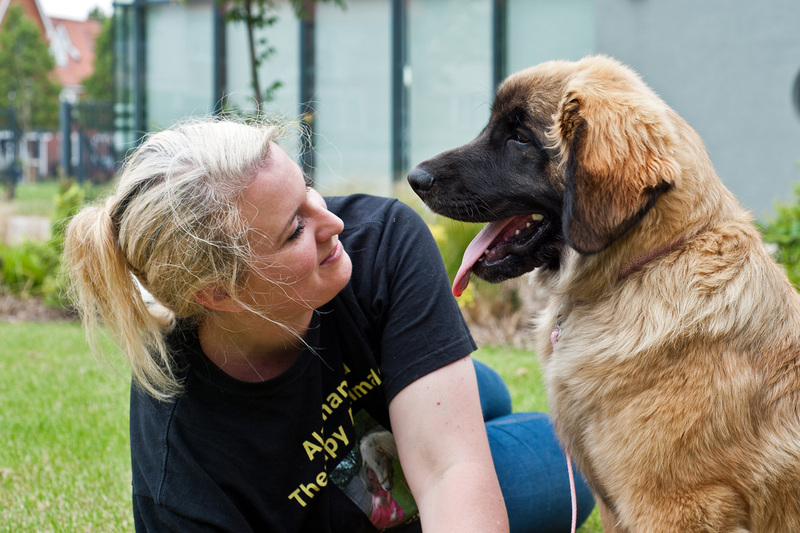 NEWS - we have a new therapy dog in training - Columbia (Amathus Spirit of Chanel) a young Leonberger - she is fabulous with a great calm steady temperment which is sooo important when doing these visits. She will has been working already and she shows great promise. We have had for a couple of years now have a pair of VERY special therapy bunnies - they are Peter and Flopsy baby Mini Rex rabbits - thier Mum over groomed them at birth leaving them both with only 1 ear. What best to help special needs kids who feel they look or are different then showing them 2 gorgeous rabbits who are adorable despite them being different too. Peter and Flopsy meet the children at SHARE respite centre - bringing smiles wherever they go !